Precision, speed and dynamics play a particularly important role in the measurement of linear movements. 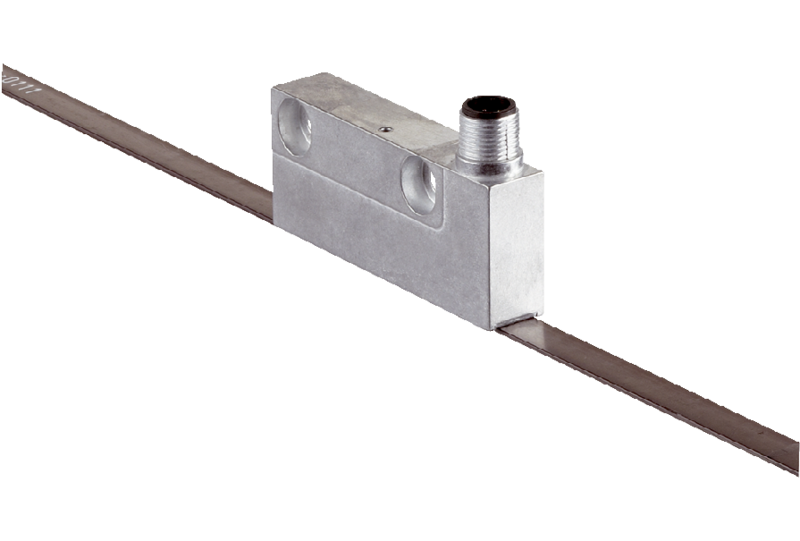 The compact linear measurement system TTK70 with HIPERFACE® or SSI interface fulfills all these properties. The magnetic principle of operation, the long measuring lengths, and the extremely high resolution open up all kinds of application possibilities for absolute position and speed recording. The non-contact measuring system consists of a compact read head and magnetic tape. The read head is responsible for recording position values. The magnetic tape is the measuring element and features a magnetic division into an incremental and an absolute track. 1) Interface SSI is described in publication 8013375.